Nigeria ranks number seven in the list of countries by population. But, that could change by 2050 when the country is expected to rise in the rankings. Around 30 million of the population will be at least 60 years old. And that will add to a growing number of the country’s vulnerable people. CCTV’s Kelechi Emekalam reports. Nigeria ranks number seven in the list of countries by population. But, that could change by 2050 when the country is expected to rise in the rankings. Around 30 million of the population will be at least 60 years old. And that will add to a growing number of the country’s vulnerable people. CCTV’s Kelechi Emekalam reports. Nigeria is already the most populous nation in Africa with 170 million people. It already has an estimated 8.5 million elderly persons in need of protection-that number is expected surge to 30 million by 2050 according to U.N.’s department of Economic and Social affairs. But it has no social protection policy for the elderly. And population experts here are now calling for inclusion of that section of the population in a social protection policy. A population a control bill was brought to parliament recently but it stalled. It met with a stiff resistance from religious groups and conservative tradition opposed family control methods. At 440 million people that is more than the population of the United States even though Nigeria has only 10 percent the land mass of the U.S. It also means that Nigeria will jump several places to become number three most populous nation in the world- population experts argue its negative trend but the issue is highly politicized for a constructive engagement on population control. From care for the elderly to birth rates in China. For decades, a strict population control policy prevented parents from having more than one child. Now, they’re allowed to have two after a relaxing of the policy early this year. But many parents are fast approaching the end of their child-bearing years and are increasingly resorting to assisted reproductive methods. From care for the elderly to birth rates in China. For decades, a strict population control policy prevented parents from having more than one child. Now, they’re allowed to have two after a relaxing of the policy early this year. CCTV’s Tao Yuan reports. For more on World Population Day, CCTV America’s Mike Walter spoke to Perry Wong, managing director of research at the Milken Institute, a non-profit think tank. 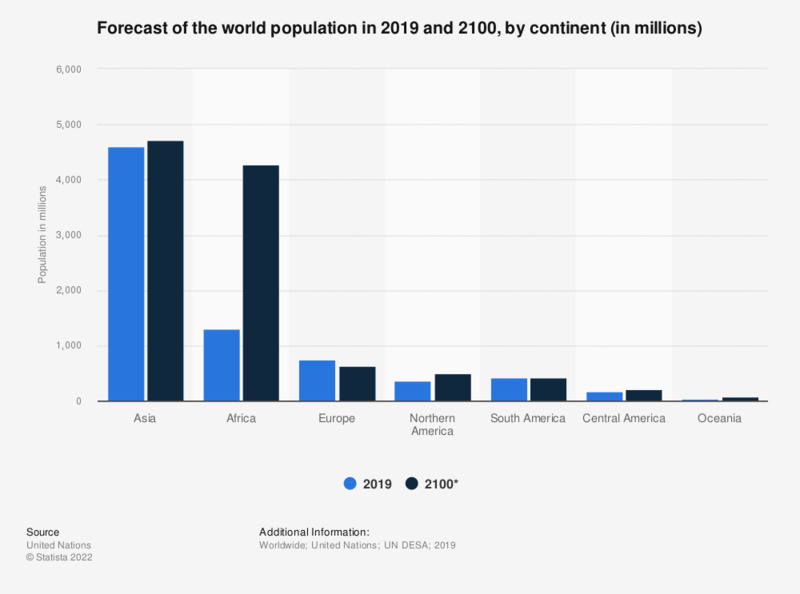 The statistic shows the world population by continent in 2015 and a forecast for 2100. Approximately 4.39 billion people were living in Asia as of July 2015.